Twelve weeks later, despite having taken a 2 week holiday just after the first month of my program, I walked out of NEW YOU a completely different person. I had dropped 37lbs of body fat, which meant I had gone from just over 11 stone to 8 and a half stone, reduced my waist by 7 inches and my hips by 8 inches respectively. *Coupled with my extraordinary weight loss my health and vitality dramatically improved. After the first few weeks I stopped using my inhaler and my arthritic pain diminished week on week. NEW YOU has allowed me to not only get into a physical condition I could never have dreamt of but it impressed upon me the importance of looking after myself by exercising and eating properly. 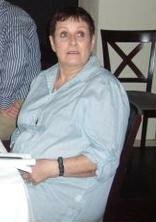 At Yvonne’s initial assessment she had a body weight of 155.5lbs, waist 40 inches, hips 43 inches and body fat 48.8%. Yvonne had suffered from chronic asthma since childhood and this was controlled by oral bronchodilators and presented with a pronounced expiratory wheeze and shortness of breath on even mild exertion. She had been inactive for years, had poor lung function and a barrel chest type posture. Intermittent administration of IV/oral steroids and a poor diet had compounded her weight gain. Her exercise program commenced at a controlled pace and gradually progressed over the first few weeks. It resulted in a dramatic improvement her in lung function and a diminished expiratory wheeze removed any necessity for use of the inhalers. 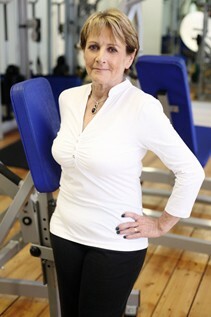 Within two weeks Yvonne’s physical condition began adapting to her improved lifestyle. We could see a dramatic improvement in her coordination, range of movement and her new improved ability to walk upright. Week by week Yvonne’s progress continued as we would expect because of her discipline with the programme. At the end of the programme her posture body shape and movement was unrecognisable from the person I first met. I had an interim assessment with Ruth and I had lost 14.4lbs, 5 inches from my waist, 3 inches from my hips and gained 2.6% of lean tissue. Now I had really gathered momentum but I was worried about taking a two-week break for a holiday I had booked some months earlier. In order to maintain the momentum my trainer developed a simple exercise program to do while on holidays. * On my return I got straight back into my schedule but was nervous as within two weeks of my return I had another assessment scheduled with Ruth. Incredibly I had lost a further 6.6lbs of body weight, another 1 ½ inches from my waist, 3inchesfrom my hips and my lean tissue had increased by another 1.2%. I was thrilled and had massive motivation to keep going. I was edging closer to closer to my final goal.